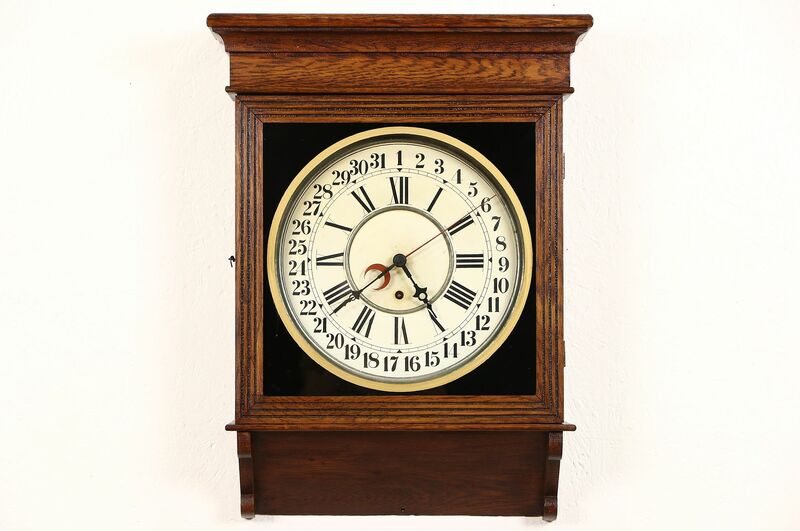 A Victorian period calendar clock from the 1890's has an original oak case with finish "crazed" or crackled from age is signed Sessions of Connecticut. The brass movement has been professionally cleaned and oiled and runs accurately for a week on a winding. Size is 18" wide, 6" deep and 24" tall. Please call or email for an independent shipping quote.